If your product contains a preservative, the product will not grow mold/bacteria, but the ingredients can still go rancid. 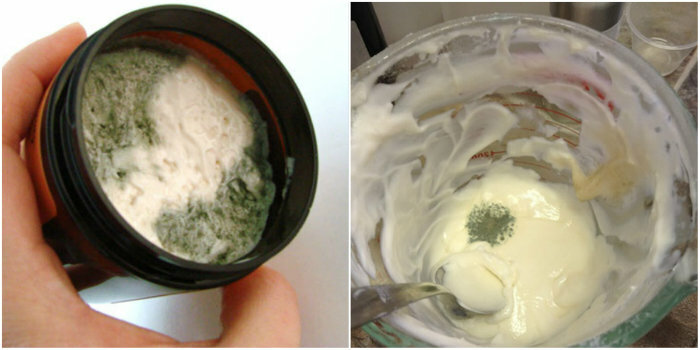 On the flip side, mold and bacteria can grow without any rancid ingredients if the product contains water. For example, let’s say you made a lotion using excellent manufacturing practices and included a preservative. It should not grow mold or bacteria. But, the lotion also contains hazelnut oil, which has 3-month shelf life. After 3 months, your lotion may start to change color or smell unpleasant if the hazelnut oil goes rancid. Many products and ingredients are not necessarily “unsafe” to use past their shelf life. But, rancid ingredients may smell, change color or may not be as effective. If you notice your product or ingredient starts to change color, develop a smell or change consistency, I would throw it away to be on the safe side. This is particularly true for leave on products such as lotion, or products used around the eye or lip areas like eye shadows or lip balms. On the other hand, if your product starts growing mold, throw away the product immediately. It is unsafe for use. Figuring out the shelf life of various products can be a little tricky. This is because shelf life will vary depending on the type of product and the individual recipe. Determining the shelf life requires finding the shelf life of each individual ingredient. Some ingredients such as fragrance oils and colorants have an extremely long shelf life, while others like certain fixed oils (ex: hazelnut oil, walnut oil) may have a shelf life of several months. Once you combine ingredients into one product, the shelf life of the product becomes the same as the ingredient with the shortest shelf life. Hazelnut oil has a shelf life of approximately 3 months. When it is added to a product, the shelf life of that product becomes about 3 months. For example, let’s take a look at the Oat Oil Cleanser recipe for oily skin. You can see the recipe below. Each oil has a slightly different shelf life. Castor oil has a shelf life of approximately one year, hemp seed oil has a shelf life of approximately two years, sunflower oil has a shelf life of approximately 3-6 months, hazelnut oil has a shelf life of approximately 3 months. The shelf life of the product is 3 months due to the hazelnut oil. 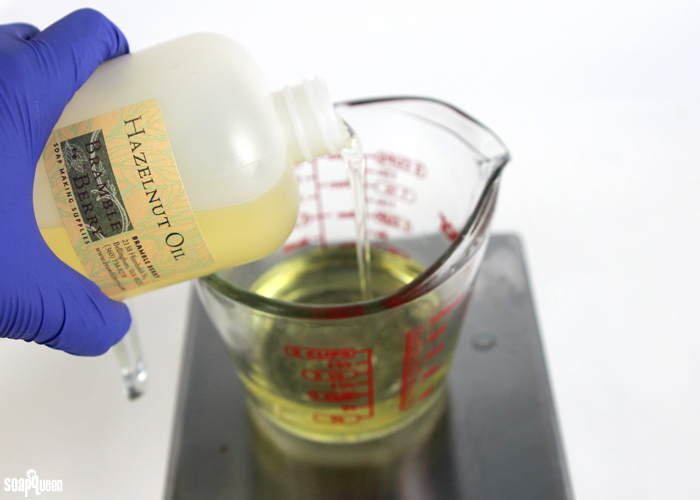 If the hazelnut oil is used past its shelf life, it may start to smell rancid, or change colors slightly within oil cleanser. This would make the entire product rancid. This oil cleanser does contain vitamin E oil which is thought to extend the shelf life of oils. But, it’s impossible to say exactly how much longer it will make the oils last. 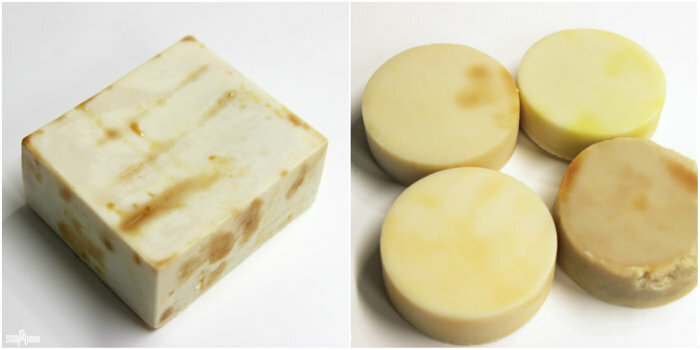 When it comes to cold process soap, a great indicator of rancid oils (oils past their shelf life) are “dreaded orange spots.” Also known as DOS, dreaded orange spots can occur months or years after the soap has been made. Dreaded orange spots are literally orange spots on your soap. They usually appear on the corners of bars, but can also occur in the center. Several factors increase the likelihood of dreaded orange spots, but the most common is oxidative rancidity, or rancid oils. 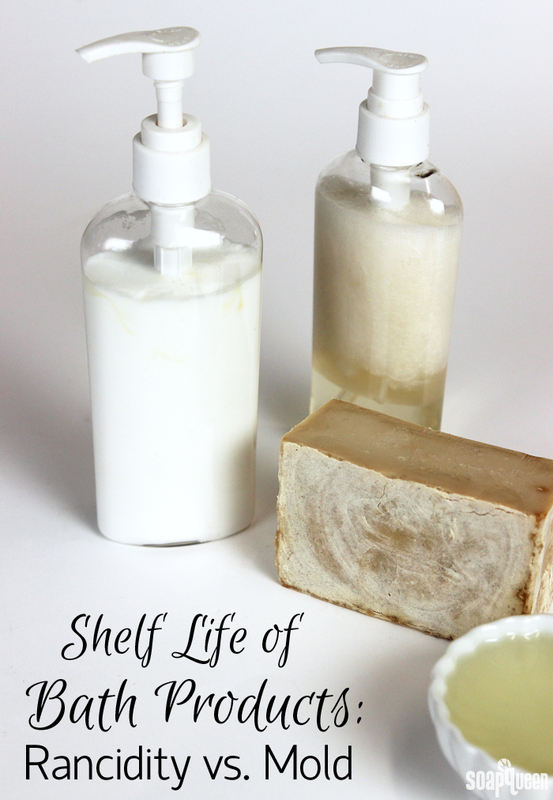 Click here to read more about the shelf life of individual oils. Vitamin E oil can be used to help extend the shelf life of oils, although it’s hard to say exactly how much longer it will make the oils last. Soap with dreaded orange spots is still “safe” to use, but it usually smells quite unpleasant. To learn more about dreaded orange spots and how to prevent it, click here. The pH level of cold process soap does not allow mold or bacteria to grow. Because of this, the shelf life of cold process soap is essentially until the soap starts showing DOS. Dreaded orange spots (also known as DOS) usually occur due to rancid oils. The soap above is still technically safe to use, but does not look or smell very good! Another unique example of shelf life is bath bombs. 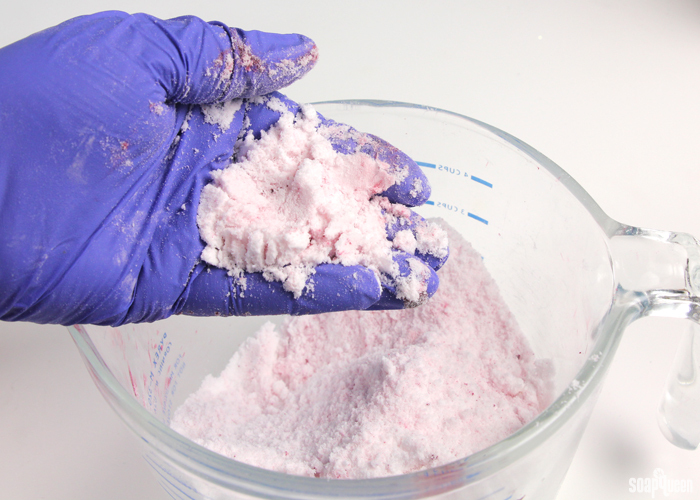 Bath bombs are made by combining citric acid and baking soda. Over time, citric acid looses it’s potency. Citric acid will not lose its potency if it is not exposed to any air and is kept in an airtight container. This probably isn’t very feasible in most storage situations though, as humidity is fairly good at getting into the smallest and tightest spaces. I would recommend using your citric acid within 6 months of receiving it to be on the safe side. So while the other ingredients within the bath bomb (fragrance oil, colorants, fixed oil) may have a long shelf life, I recommend using bath bombs within a few months to ensure it will still fizz in the tub. Citric acid can lose its potency when exposed to air. I recommend using bath bombs within a few months to make sure they fizz in the tub. It’s important to keep in mind that the shelf life of ingredients is an estimate. The environment and how products are stored will also affect the shelf life of the item. Oils and other ingredients with a short shelf life can be stored in the fridge or freezer to help them last longer. I always recommend storing your products in a dark, cool and dry place to help them last as long as possible. This is particularly true for bath bombs that can begin to fizz prematurely if exposed to humidity, or lotion can that separate when exposed to high temperatures. Click here to learn more about properly storing your products. Ingredients also have natural variation, and the shelf life may slightly depending on the source. If you want to learn more about preservatives, storing products to extend shelf life and more, check out the blog posts below!